If you can’t believe that we have stayed on track for 3 consecutive months, you are not alone! 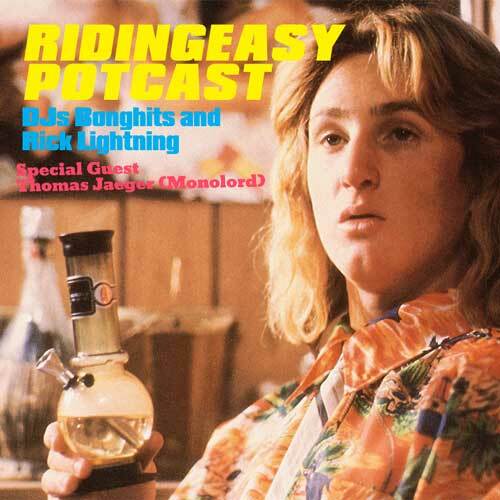 None the less, we are back this month with the third installment of the RidingEasy Records potcast. Our special guest this episode has an exclusive DJ set from Thomas Jager of the all mighty MONOLORD who goes by the name of DJ Fatface. DJ Bonghits plays lots of new music from RidingEasy bands Electric Citizen, Slow Season, Salem’s Pot, Mondo Drag, and a slew of other things. Rick Lightning closes out the 3rd hour with some deeper garage, punk, and rock n roll. So what are you waiting for, fire up that bong, sit back and enjoy the ride!